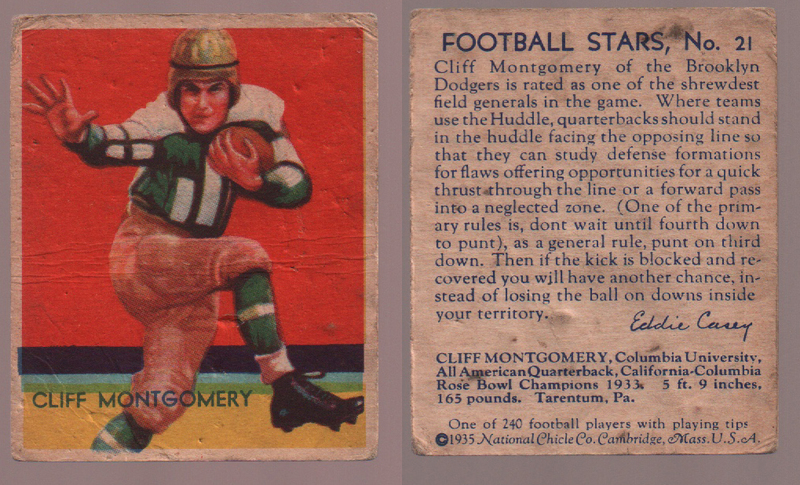 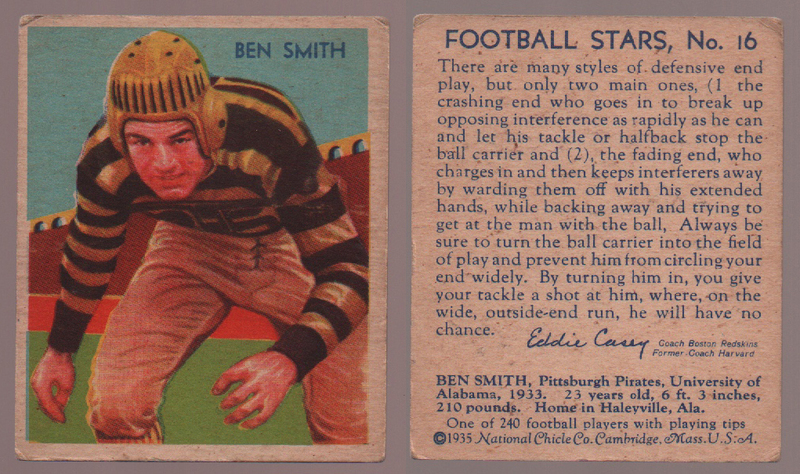 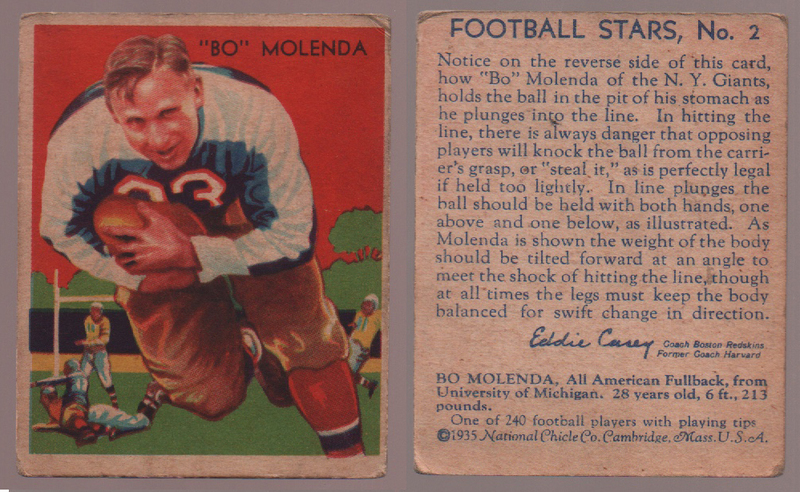 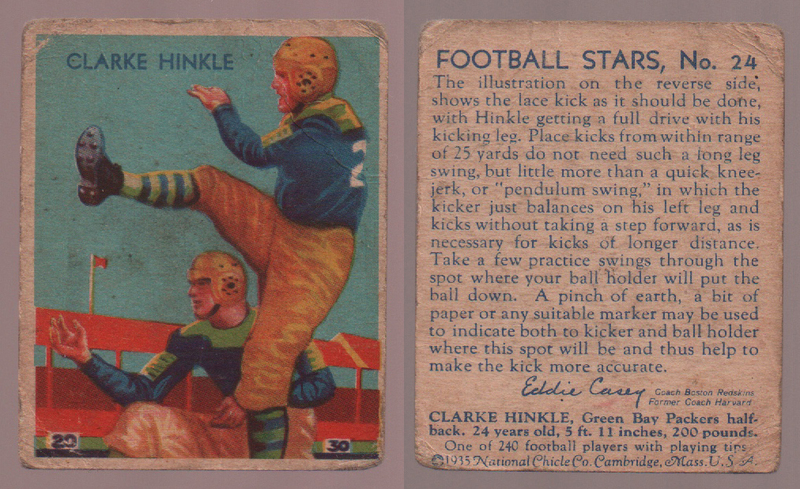 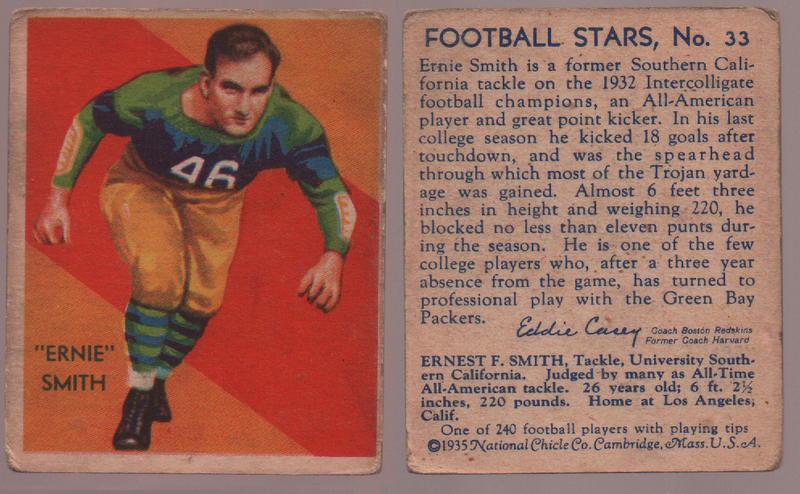 1935 NATIONAL CHICLE FOOTBALL CARDS. 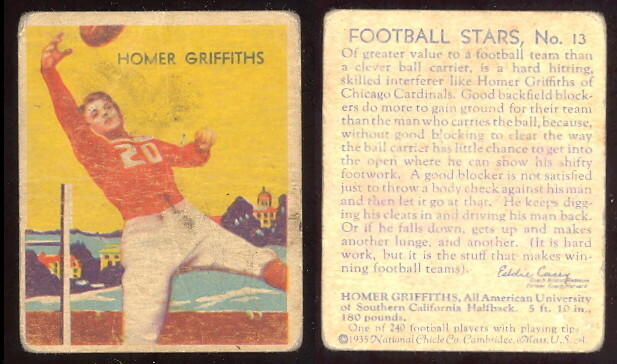 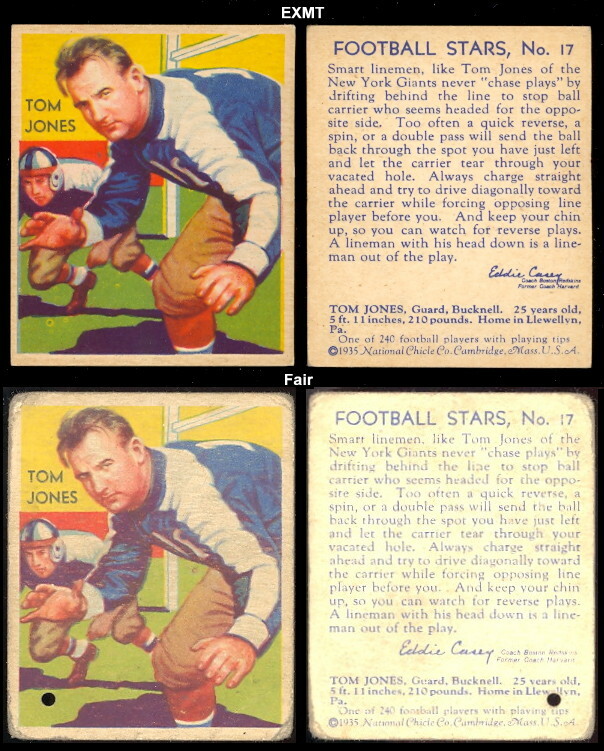 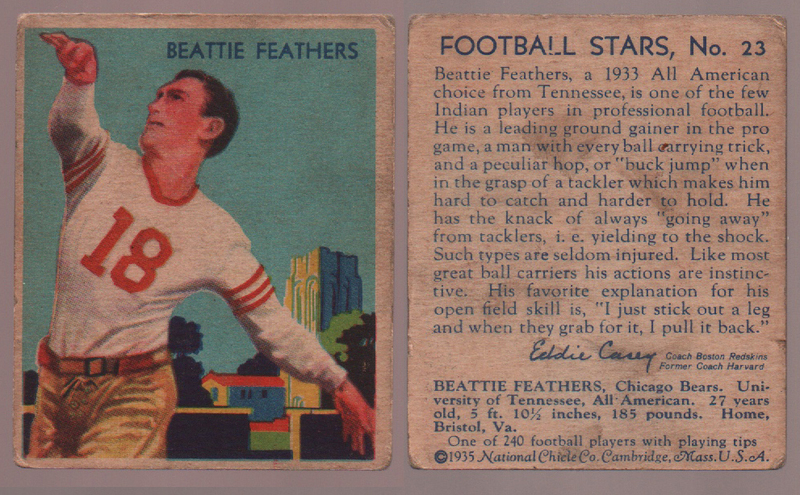 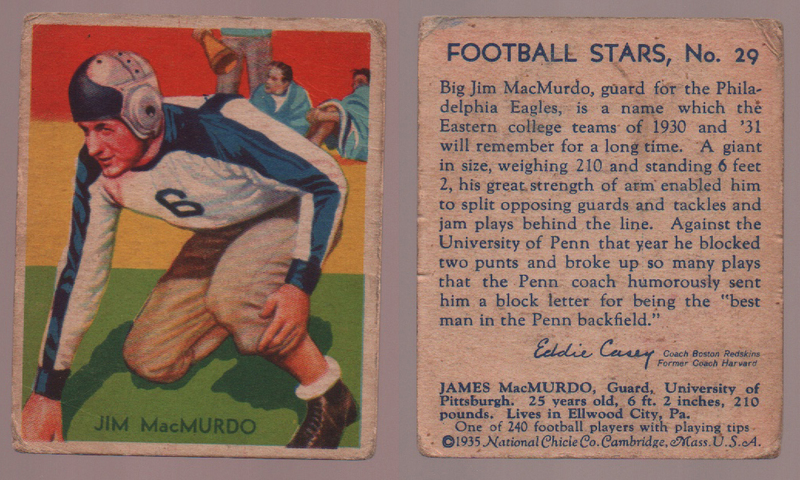 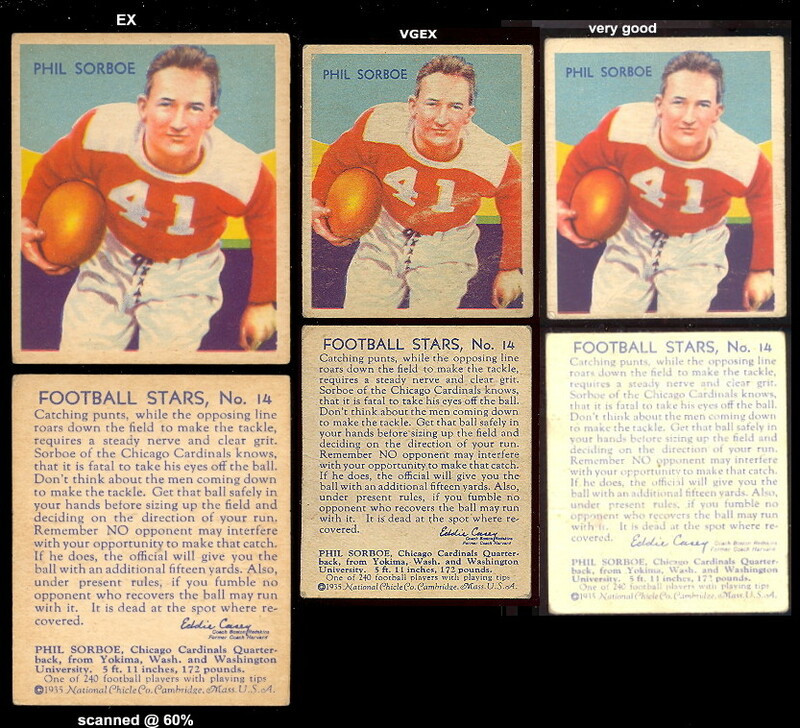 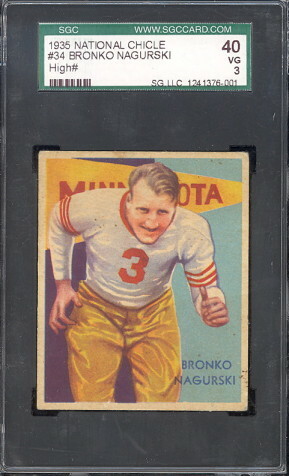 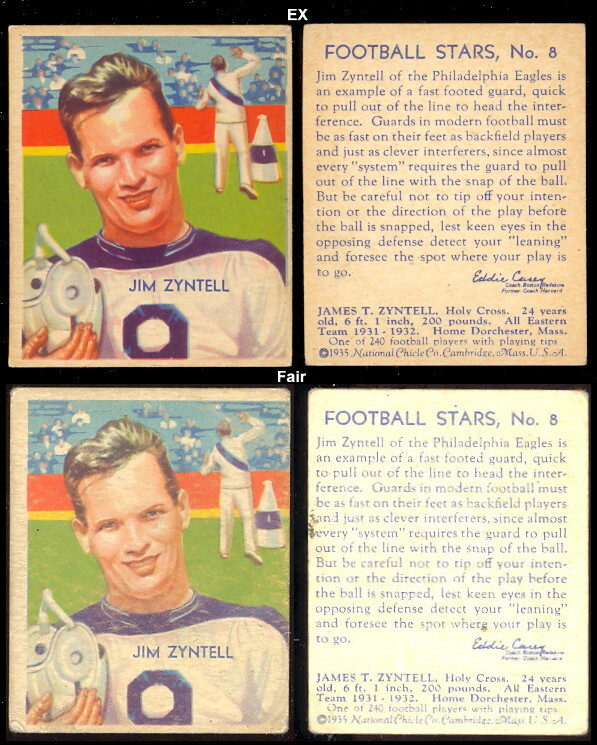 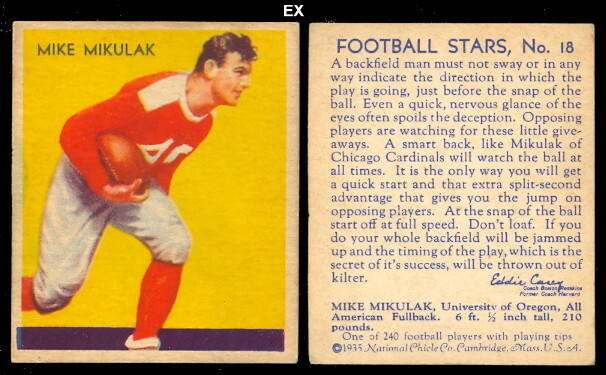 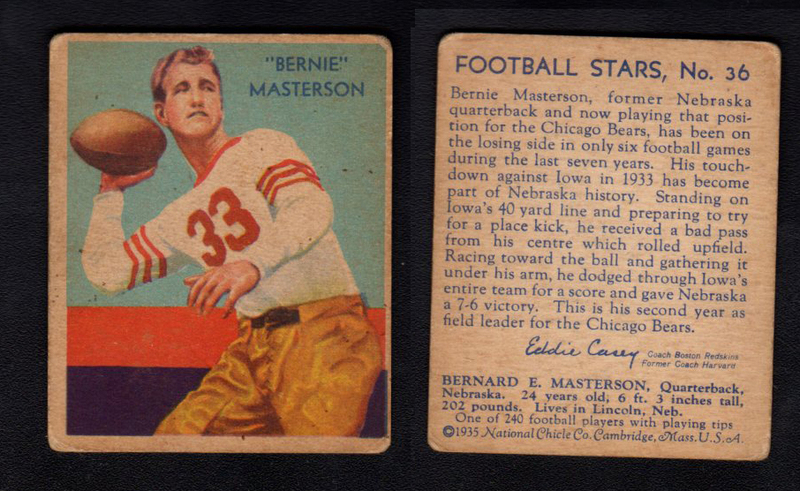 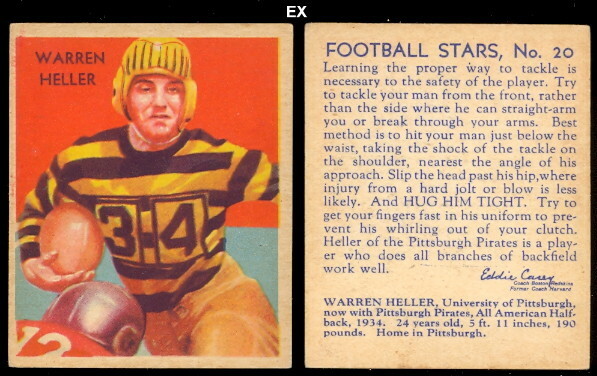 The Granddaddy of all football card sets, the 36 card set was the first to be circulated nationally and the first to feature only football players. 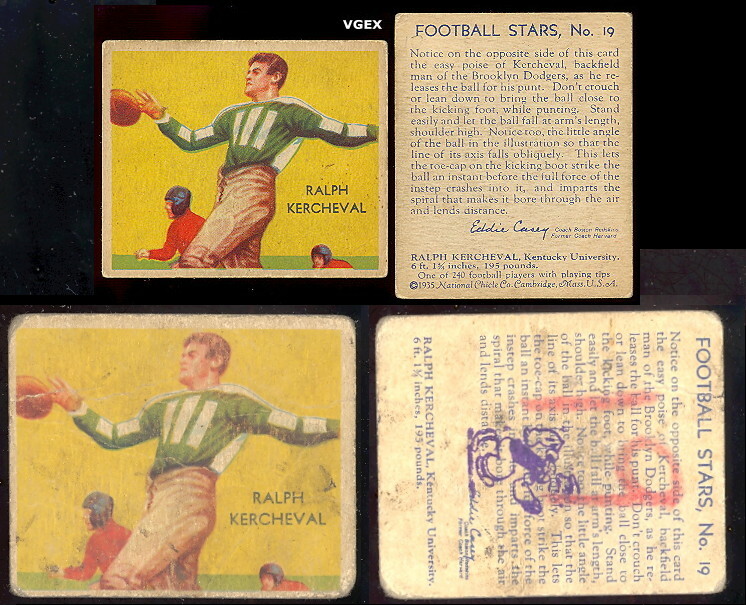 Cards measure 2-3/8" X 2-7/8", the last 12 cards in the set are very difficult to find. 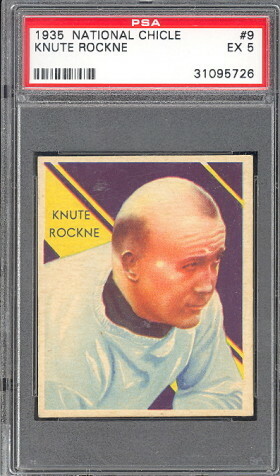 R311-2 National Chicle Premium Pictures!